The journey of Dhundiraj Govind Phalke’s making of the first ever Indian fiction film, Raja Harishchandra (1913). Watching Harishchandrachi Factory is like stepping into a time capsule to take a journey into a past that goes back by nearly 100 years. The film integrates the audience into the narrative and the characters though all this belong to a period and a society distanced from our own. The narrative moves chronologically more into the circumstances, social, emotional and historical, that led to the making of India’s first motion picture and less on the characters. But the most interesting element is that the characters emerge, evolve and grow with the narrative and in this sense, the two, the storyline based on factual happenings in the past, and characters, hypothetical constructions of the story and screenplay drawn from history, complement each other without creating any hierarchy between the two. One gets to watch a strange Bombay where the streets are free of crowds, traffic, buses, etc. ; where Dadar is dominated by Maharashtrians wearing traditional Marathi clothes, an air of innocence in their behaviour and language; where life is a simple day-to-day affair; where families are close-knit and remain together through thick and thin; where the meaning of the word ‘family’ is not limited to husband, wife and children but expanded to include Phalke’s entire team, who the wife readily cooked, cleaned and washed for; where the British were not altogether as dictatorial as other films and history books tell us and were often friendly and warm to ‘native’ Indians; where children listened to their parents more than questioned and criticised them. In terms of aesthetics, the colour, leaning towards the browns, the reds and the yellows, jells with the happy mood of the film. The treatment, through the script, the recreation of the characters and their interactions between and among themselves is given a light-hearted frothiness that fits neatly into the time and social framework of the story yet does not dilute the seriousness of the content. The shifts to London are short and crisp. The film makes you laugh every now and then. One sequence shows an assistant placing a forgotten lamp on one side of Harishchandra’s palatial courtroom while the camera is actually rolling! The actors, probably drawn from Marathi theatre where director Paresh Mokashi comes from, are new faces for cinema and therefore, non-starry and convincing. Nandu Madhav as Phalke is exceptionally good in every scene. His tender smile as he turns the lenses of his camera expresses the delight of a ten-year-old gifted with his dream toy. When he is slowly going blind for instance, his wiping away the moisture from his eyes even as he keeps his eyes glued to the screen (off-screen) in front, is touching. The way his wife informs him that she is pregnant is delightful. 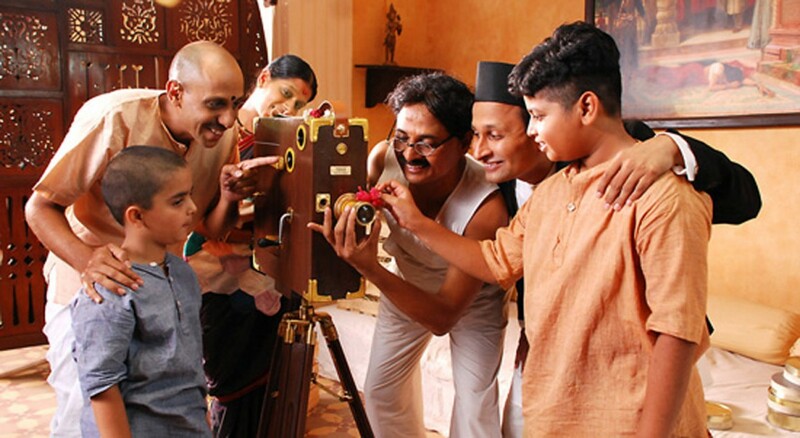 Vibhavari Deshpande as his understanding wife and the two child actors as the two boys lend him solid support. This includes the entire acting cast. When people comment on how they can work in a project considered socially unacceptable, Phalke cheerfully tells them that they should tell everyone that they work in a ‘factory.’ The film gets its name from this comment. Archival newspaper clippings function as markers of time and milestones very well. Nitin Chandrakant Desai’s art direction is another plus point in the film. The best part is that Mokashi does not try to impose the documentary format in his film. There is neither glitz nor special effects nor the glamour of stars to change the results. Historians and scholars have forever questioned the authenticity of the depiction of historical eras on celluloid. They have accused filmmakers of taking up a period or historical subject without the research needed for a bold project as history. Mokashi cannot be accused of this. He has filled in the blanks in Phalke’s personal life that tally with what we have already read about him. His wife assisting him in loading and unloading the camera for instance, or, mixing the right chemicals in a make-shift lab within the home are just what the books say about the man. Phalke’s discovery of his Taramati in a tea-shop is the same. Mokashi has also done a simulated version of the pea-plant film in Black-and-White. But it closes with his first success probably because Mokashi wanted to close the film on a note of hope. Unlike period films, Harishchandrachi Factory is not a serious and solemn treatise of fictionalized history. 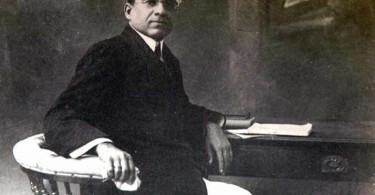 Above everything else, the film effectively brings across the obsession and the passion with which this great man Dadasaheb Phalke realized his dream of creating a completely new audiovisual medium of entertainment that was an ideal blend of science, art and technology. The final frame is beautiful. It closes on a wooden toy parrot, its making and selling linked to the Phalke film magic. It is also a forerunner of the future when mainstream cinema would actually venture into other areas of production linked to their film projects as a marketing, promotional and business strategy. So are there any rough edges? There might be. But you are so engrossed in what is happening on the screen that you really forget to notice any.